Dr. Izabella Wentz Archives - Dr. Nikolas Hedberg, D.C. 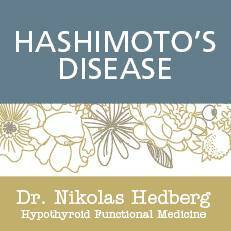 In this exciting interview on The Dr. Hedberg Show, I interviewed Dr. Izabella Wentz about everything Hashimoto’s disease. We had a great conversation and covered some very practical information that everyone can use right away.